❃ My passion was to shop for any kind of hearts incorporated into pretty jewelry pieces and I was always searching high and low for different and unique jewelry pieces that everyone else wasn't wearing. ❃ Soooo I decided to combine my jewelry passion with my "edgy" photography background and PYKNIC2 was born! Of course, my business logo had to have a heart in it and include my favorite color combinations of red, black and white. ❃ There's nothing like the feel of real stone bracelets that sparkle and I look to design a treasure trove of affordable, fun and different jewelry pieces for girls and guys. ❃ Check out our leather line.. Amelia, who specializes in designing leather jewelry, crafts every PYKNIC2 leather bracelet by hand. 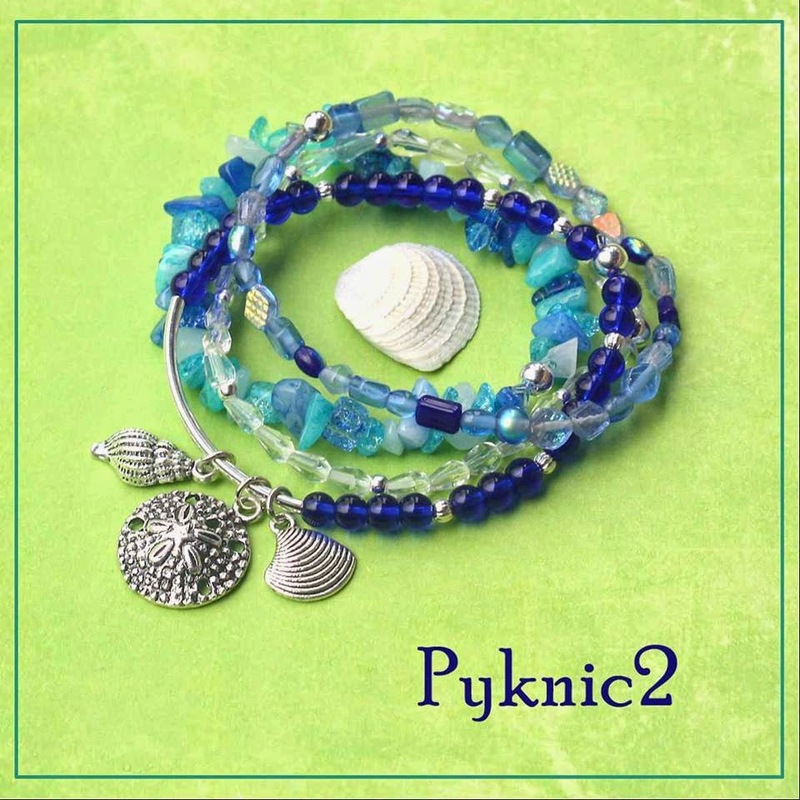 ❃ Nothin' but LOVE goes into each jewelry piece in the PYKNIC2 collection...the inventory in my jewelry box is always changing so please stop by often! My friends and I are obsessed with affordable looks that you can easily put together and have fun wearing and showing off. You’re so gonna love my new handcrafted “Rock Star” stone bracelets and “Junk Food Festival” neckchains that you’ll never want to take them off! I have a HUGE section just for all u guys out there...vintage key pendants, leather, chains and much, much more! So take a little time rummaging through my overflowing online jewelry box and find that perfect piece that you just gotta have. Be sure to check back often, my jewelry inventory changes all the time-you don’t want to miss out on upcoming deals on all the new stuff. PS I'm only designing and crafting for one jewelry star in my studio and that’s you. Help inspire me, I’d love to hear from all you "jewelry junkies" out there . Remember, there’s no place like PYKNIC2. 💘 "Follow" and "Like" for special deals & coupon codes!! !